ISMT manufactures seamless tubes and tube based value-added products for a wide range of applications in the automotive and heavy vehicle industries. We are one of the few integrated manufacturers of seamless tubes globally, producing all steel in-house for the manufacture of tubes. Thus, we retain complete control over quality and delivery of the final product. Our strength lies in our understanding of tube properties specific to each automotive application; in being able to develop special grades of steel to meet a particular requirement; in supplying small lots - cost effectively; and in the wide range of tubes that we can supply. In addition, with over 25 years of experience in manufacturing and supplying tubes to the automotive industry worldwide we are entirely familiar with the needs and expectations of the industry. 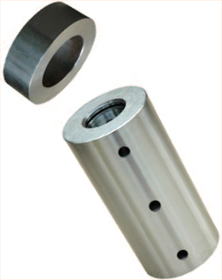 ISMT manufactures special smooth bore tubes for piston pins. These tubes are cold drawn with a mirror finish on the ID so as to achieve a Ra value of as low as 0.5. Piston pins made from seamless tubes offer a cost effective alternative to piston pins made either by forging or by machining solid bar stock. We are approved for the supply of air-bag canister tubes by four of the largest suppliers of air-bags globally. ISMT has developed special fine grain steels as well as tube finishing processes to obtain extremely high burst pressure values at low temperatures. Hollow stabilizer bars made from seamless tubes are lighter than their traditional solid counterparts and as a result these are increasing in popularity. 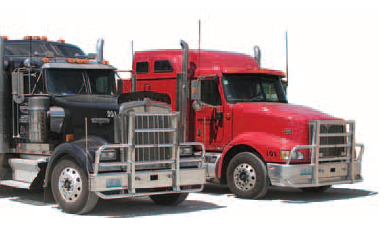 ISMT is an established supplier of seamless tubes to some of the largest manufacturers of stabilizer bars globally. We have worked closely with our customers to develop special grades of steels that are cost effective and yet meet the high fatigue failure norms required of these tubes. We manufacture cold drawn tubes with special sections such as oval or triangular for collapsible steering columns. These tubes enjoy extremely tight cross sectional tolerances so as to transmit torque without any perceptible play between the sliding members. 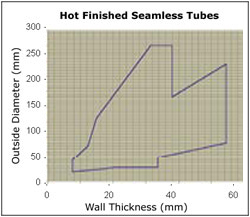 Hollow bars are very thick seamless tubes that can be used as machining stock instead of solid bar. They offer a cost effective alternative for the manufacture of various turned components used in the automotive industry. ISMT can supply Hollow Bars in standard or customized grades of steel. ISMT uses a combination of cold ring rolling (on Bad Deuben Machines) and machining to produce a variety of annular components such as gear changing shifter sleeves and dog clutches (for synchromesh gear boxes ), cages for constant velocity (CV) joints, pulleys, etc. ISMT specializes in the manufacture of tubular axle casings duly machined and fitted with a flange, saddle and brackets. These items can also be supplied in an intermediate stage i.e., as a formed (swaged) axle blank or as a formed and CNC machined axle blank. Machined Gear Blanks ISMT supplies CNC turned gear blanks in case carburising, direct hardening or nitriding steels with any desired profile and in a form that is ready for broaching, hobbing, shaving, or other finishing processes. With long standing experience of supplying tubes to the Automotive industry, we are fully aware of the criticality of these tubes. Therefore, we manufacture all our steel in-house through the Electric Arc Furnace route maintaining complete control of the entire production process. The raw material mix is chosen and prepared carefully to ensure the highest standards of cleanliness. All heats are fully killed, ladle refined and vacuum degassed before continuous casting and rolling. Right through the production process, we maintain full traceability of the material and a record of all critical process parameters. This ultra-clean steel forms the starting point for the manufacture of our seamless tubes. Stringent process control continues through the tube rolling as well as final heat treatment process so that we are able to consistently deliver tubes with the exact qualities that are required. 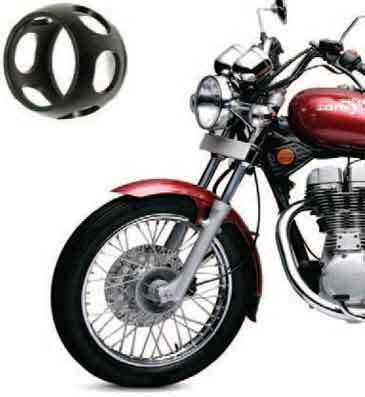 Be it piston pins which require ultra-smooth bore tubes, or Air-bag canister tubes which have to be capable of withstanding a high burst pressure, our strength lies in our understanding of your applications and our ability to develop and manufacture tubes to meet those requirements. Our Technology Process Group (TPG), comprising some of our best engineers, works closely with our customers at the design level as well as at the shop floor level to understand the application requirements, and to translate these process specifications for making the steel and tubes. Our entire organization and our processes have been structured along application verticals so that we are unique in our ability to meet our customer’s changing needs. We can not only supply what you require today but also work with you to develop new products with the singular aim of cutting costs and improving product effectiveness. 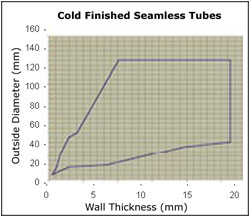 The manufacture of precision seamless tubes is as much a matter of equipment as it is of experience and process technology. At ISMT we believe in investing in the finest of equipment. For making seamless tubes we operate three Assel Mills and a brand new PQF Mill. We also have a number of Cold Draw Benches for producing cold-drawn tubes. Our tube-mills are from Shloemann Mannesman in Germany and incorporate the best in technology. This state-of-the-art equipment is backed by an operating team that is technically amongst the most qualified anywhere in the world - the tubes that we produce for the automotive and heavy vehicle industries reflect this experience. ISMT is unique in that we operate to a weekly manufacturing cycle. We can go from scrap to finished tubes of any size or grade, ready for dispatch, in less than 15 days. As a result we offer the tightest delivery lead times in the industry. Moreover, given the combination of mills that we operate, the PQF mill and three Assel mills, we can produce both small quantities of customized product as well as large quantities of standard product cost effectively. The Assel mills are ideally suited for producing customized sizes while the PQF mill is suited to larger volume production. SAE 1019, 1518, 1035, 1040, SAE 4130H, SAE 4140H, SAE 8620, 20 Mn Cr5, 16NiCr4 and ST-62-N. Other steel grades may also be used on specific request. Standard specifications that we manufacture include BS980, DIN 2391, BS 1717, IS 1601, IS 1074, JIS Gr.6, STK 45. In addition we also manufacture to customized specification depending on the requirements of a particular customer. Tubes are generally supplied in random lengths of 4 to 7 meters (or in a different range as per customer specifications). Tubes in exact lengths, multiples of specified unit lengths or in long lengths can also be supplied. We produce seamless tubes with up to an outer diameter of sizes 273 mm (10 inches). In addition we can produce any customized size as per the graphs below.